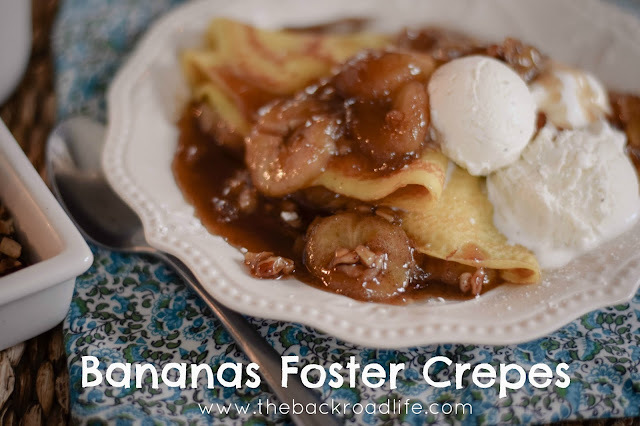 Bananas Foster Crepes are perfect for a decadent breakfast or a fancy dessert! I love banana anything and these are so good. 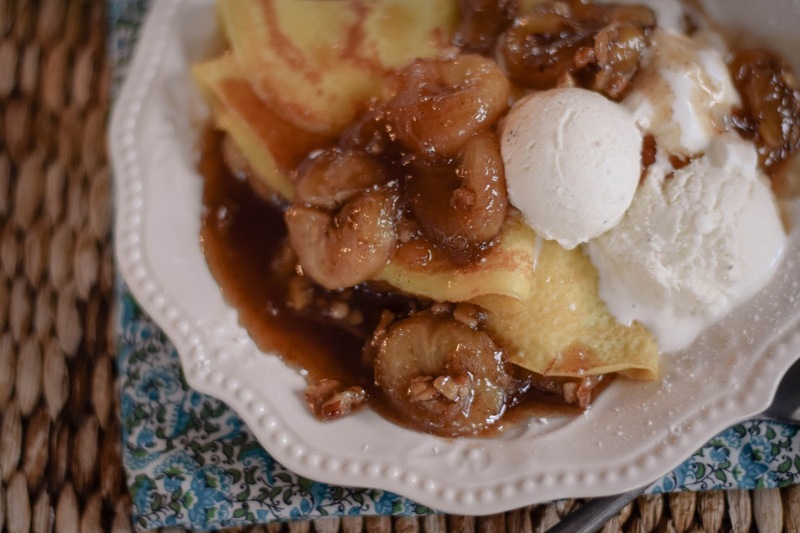 The batter creates a light, buttery, crisp crepe. Filled with a syrupy banana flavored goodness. Topped off with a few scoops of vanilla ice cream. 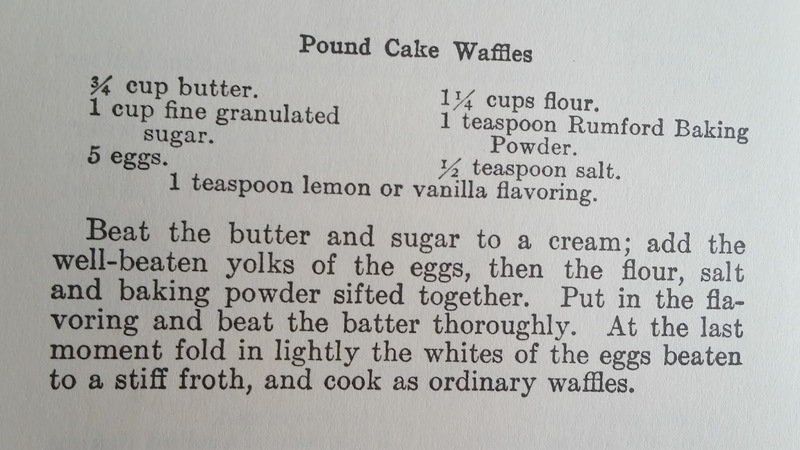 Topped with scoops of vanilla ice cream and dust with powdered sugar if desired. For the crepes, add all the ingredients in a blender and blend together until well mixed. Refrigerate the batter for 30 minutes. Using a small non-stick pan spray the pan with cooking spray. Add 1/3 cup of batter and swirl it around to spread the batter for a thin layer on the bottom of the small pan. Cook for a minute or so and flip. Cook for another 30 seconds or so. The edges will curl up some and the crepe will get a golden brown color to it. Continue until batter is gone, spraying the pan before each crepe. For the bananas foster, in a pan add the butter, sugar, and cinnamon. Cook over low heat and stir occasionally until the sugar dissolves. Add the banana slices and chopped pecans and cook until the bananas soften. Then add the rum and cook the sauce until the rum has been heated. Use a lighter and carefully light the rum. Remove from heat and shake the pan a bit until flame goes out. Let the sauce cool some. *Non-alcoholic version: For the bananas foster, in a pan add the butter, sugar, and cinnamon. Cook over low heat and stir occasionally until the sugar dissolves. Add the maple syrup, pecans, and banana slices and cook until the bananas soften. Let the sauce cool some. 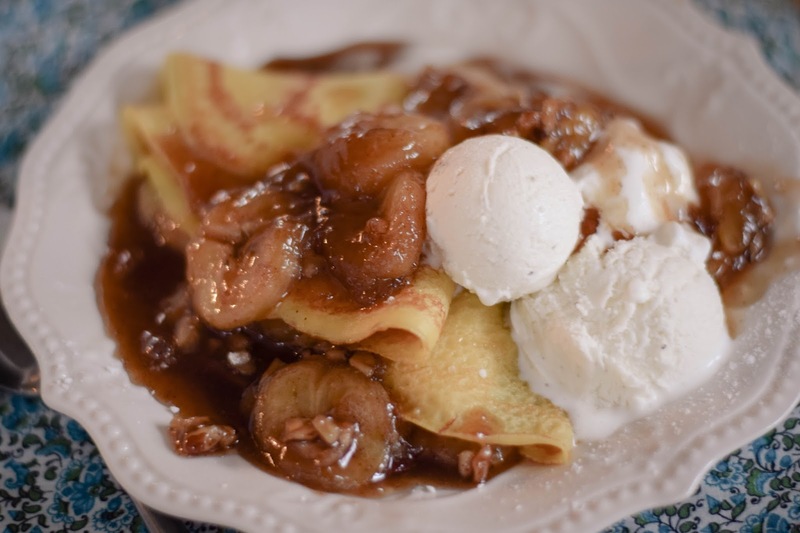 Spoon the bananas foster sauce into the crepes for a filling and fold them up. 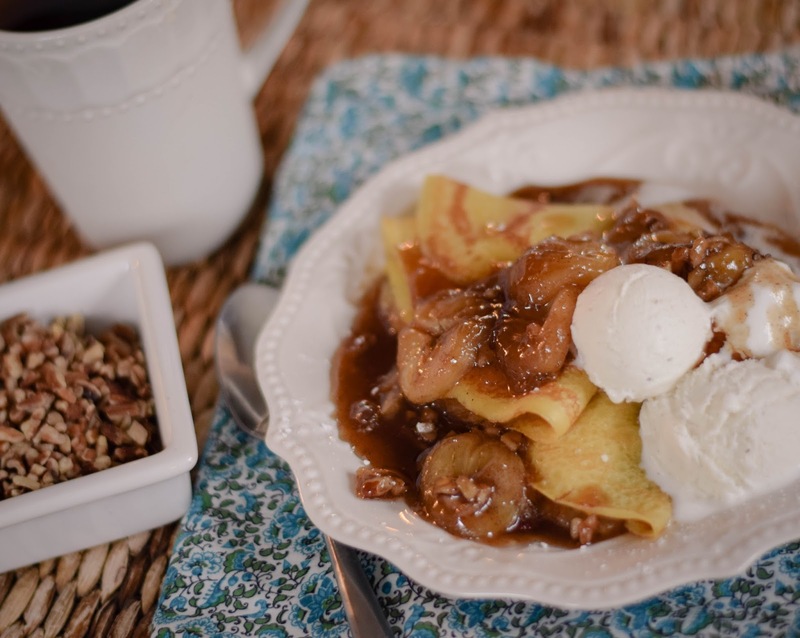 Add some scoops of vanilla ice cream and top off with some more bananas foster sauce. 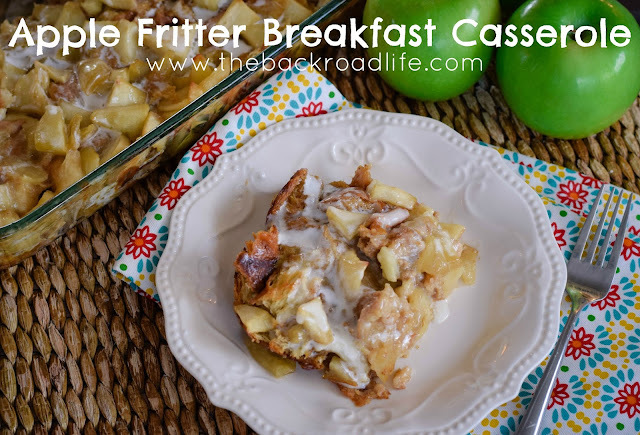 This apple fritter breakfast casserole combines all your favorite flavors of apple fritter donuts into a breakfast casserole. 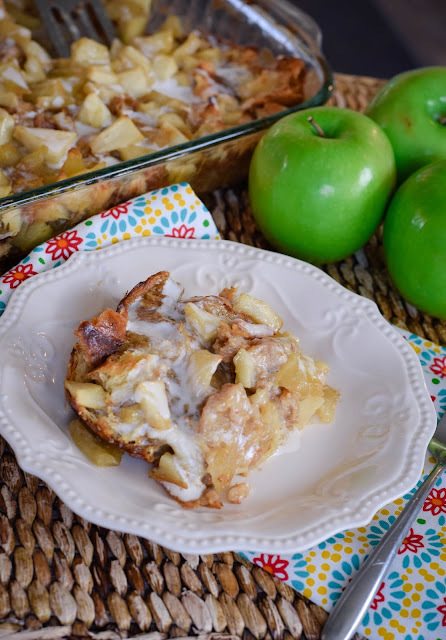 Simple to prepare, place in the oven, and enjoy apple fritter breakfast casserole for everyone to enjoy. On our farmers market Saturdays. its a weekly tradition to head across the street and grab donuts from our local bakery. Sometimes our kiddos will join us at the market also, and they really enjoy the morning donuts and look forward to getting them. My favorite is the apple fritter! 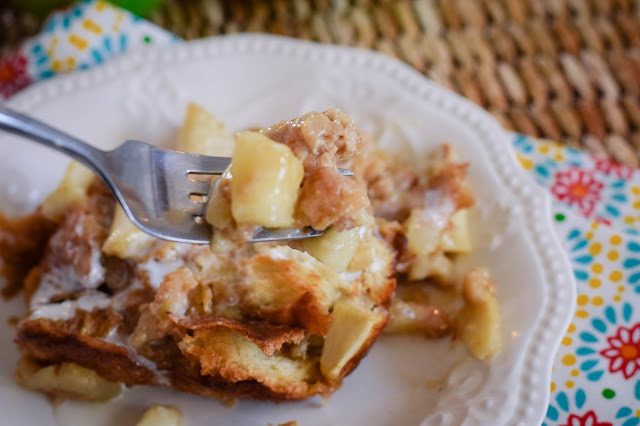 The sweet cinnamon breading with bits of juicy apples topped off with a creamy icing! So simple! Prepare the ingredients and layer in the 9x13 and bake. Let cool then add the icing. In a medium size pan, melt the butter over medium heat. Add the brown sugar to the melted butter and stir until both are completely blended. 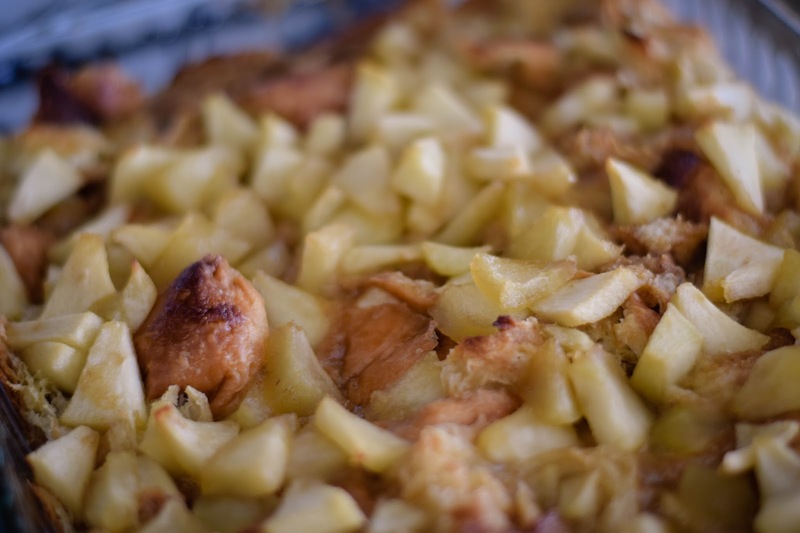 Add the chopped apples pieces to the pan and stir until they are coated well with the sugar mixture. Cook for 5 to 10 minutes longer while continuing to stir. During that 5 to 10 minutes, in a small bow stir together the corn starch and warm water and add to the apple mixture and cook/stir for the remainder of the 10 minutes. Remove from heat and set aside while preparing the rest of the casserole. In a small bowl add the heavy cream, apple butter, eggs, and cinnamon and whisk together. Pull apart the croissants into chunky pieces and place at the bottom of a sprayed 9x13 casserole dish. Pour half of the apple butter/cream mixture over the croissant pieces and then top with half of the apple mixture. Layer in the remaining half of the ingredients. Using a spoon, gently stir around the ingredients so apple mixture and the apple butter/cream mixture are somewhat coating the croissant pieces. Bake at 375 degrees for 25-30 minutes. Remove from oven and let cool down to warm. Add glaze and serve. Combine the powdered sugar, heavy cream, and vanilla extract together in small bowl and stir together with a fork until smooth. 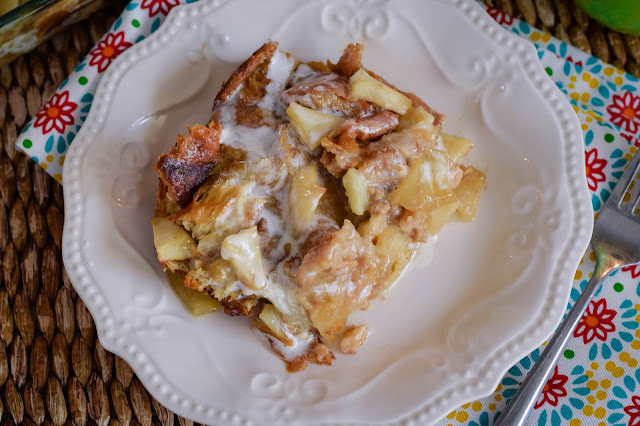 Drizzle over the breakfast casserole. Optional: Sometimes when making this casserole I will add 1/2 cup chopped walnuts or pecans when cooking the apples. 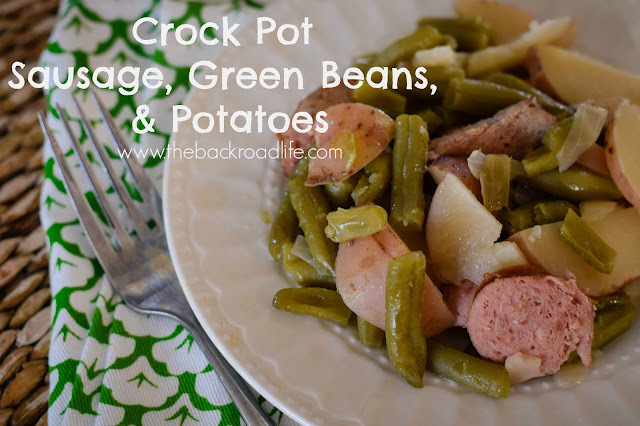 All in one crock pot meals are some of my favorites! 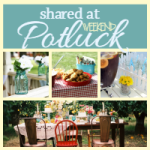 It's so nice to just gather and prepare all the ingredients and put in the crock pot and cook, then go about your day! 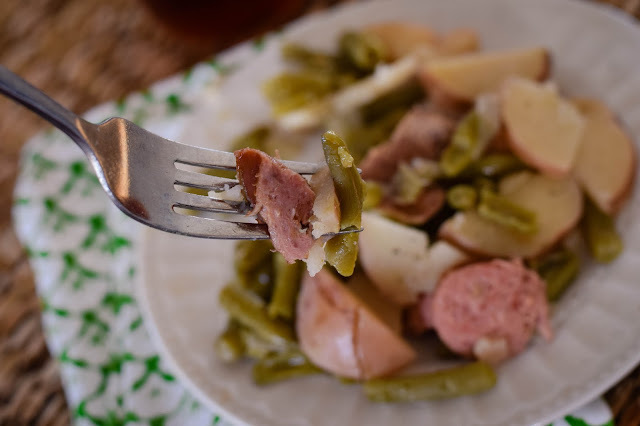 This Crock Pot Sausage, Green Beans, and Potatoes meal is definitely a go to meal when you don't have much time to spend in the kitchen, but still provides an all around meal. 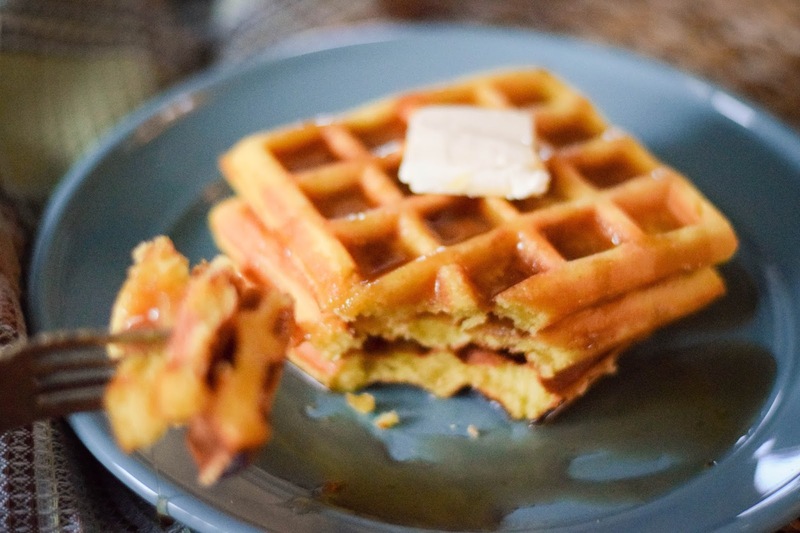 Often times our nights are busy with sports activities for the kids, homework, working outside and more, that we just don't want or have the time to spend in the kitchen. This recipe is an easy one to fall back on. 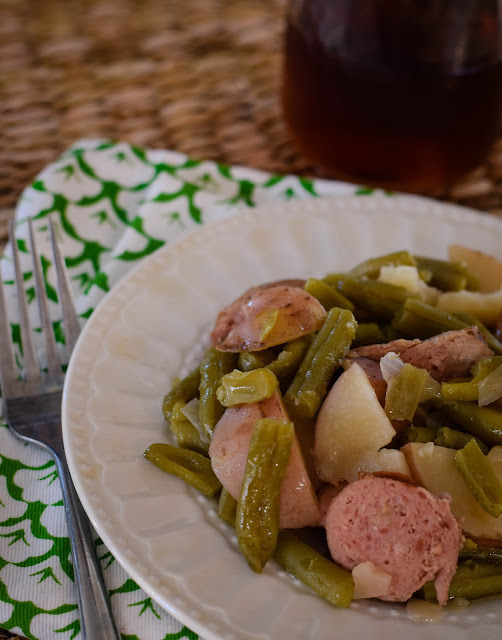 With the sausage, green beans, and potatoes you can add something as simple as fresh fruit for dessert and have a complete meal. Prep time is fast and easy too! 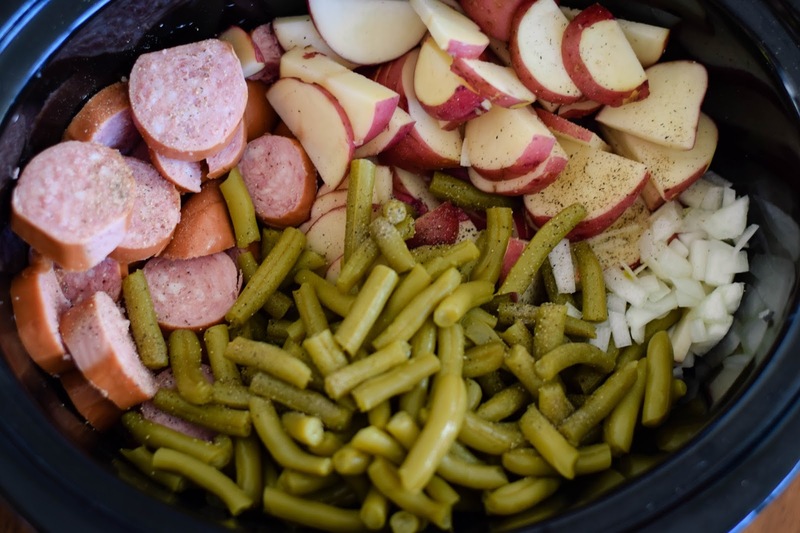 10 minutes in the kitchen chopping up the ingredients and dumping into the crock pot, set the time, and out the door you go. It's so nice to come home from a busy day and dinner is already made and ready to go. Clean up is super easy too!! 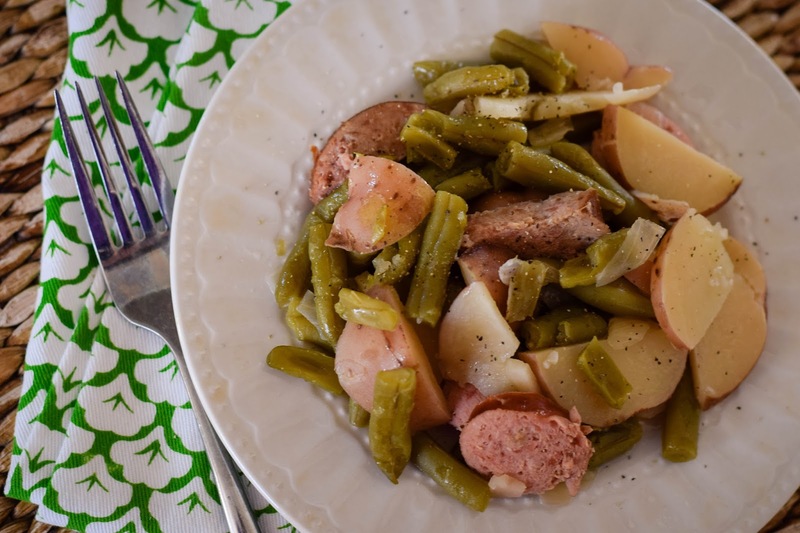 Cut sausage into slices and put in crock pot. Wash and slice up potatoes and put in crock pot. We like the skins on, but you can also peel them. Drain green beans and add to the crock pot. Chop onion and add to crock pot. Add pepper to taste. Mix all the ingredients around together. Add 4 cups of water. Cover and cook on low for 8 hours. You can use any type of potato instead of red potatoes. We are a pasta loving family and usually have some sort of pasta meal once a week. The great thing about pasta meals is that they are pretty inexpensive and easy to prepare. 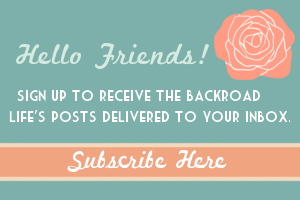 They feeds the whole family and also make great leftovers. You really can't go wrong with a pasta meal. 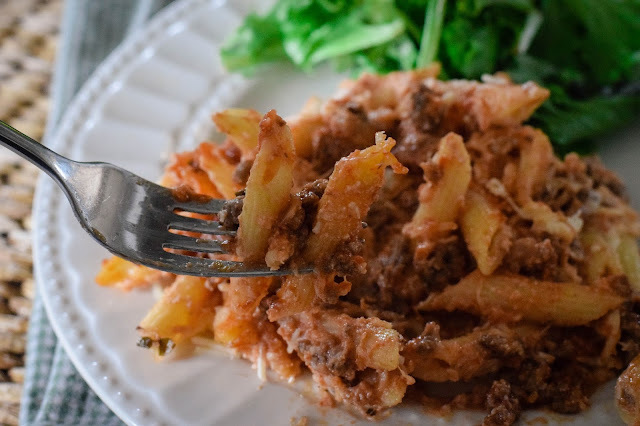 This baked ziti recipe is one that can be made ahead and froze for later or can be made and enjoyed for a meal that day. I remember growing up, when my dad and grandpa were in the field during planting and harvest, my mom would often times take out a meal to the field. Some of the best memories seriously are just sitting on the tailgate or in the back of the Tahoe enjoying lunch in the field. Pasta meals are some I remember us having! As kids, my brother and I would sit around with family and eat our lunch in the field, then we were always sure to grab a tractor or combine ride with my dad or grandpa. 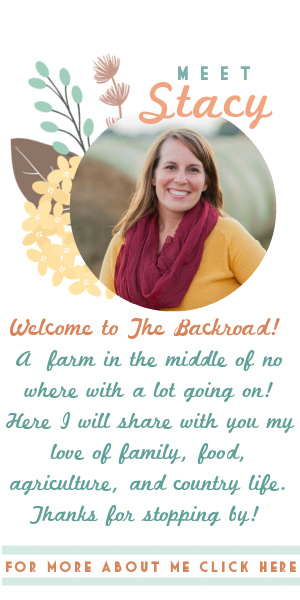 So many memories in the field from growing up, that I want my kiddos to have some of the same experiences and I love taking them to the field when I'm helping my dad, for a meal in the field or a tractor/combine ride. 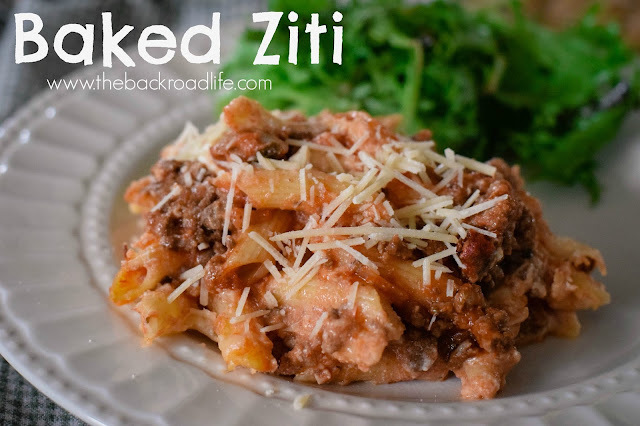 There are so many great meals that work out great for eating in the field, including this baked ziti dish! It can be prepared and cooked that day or prepared and froze to cook at a later time. Freezer meals are a lifesaver sometimes in our family. It's so nice to have them prepared and in the freezer and then if you know its going to be a busy day, just simply setting one out in the morning to thaw and cook when you get home. 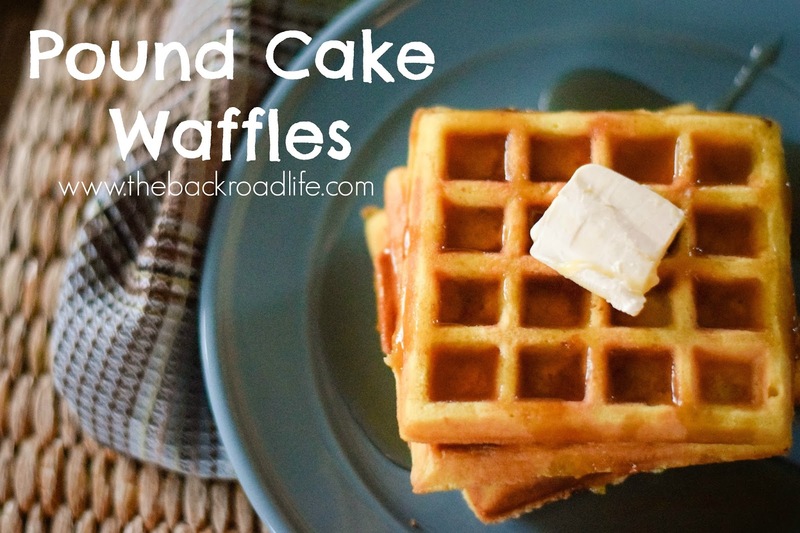 So easy and definitely takes the occasional stress out of dinner time for the day! Last week I enjoyed a freezer meal party with my farm blogger friends sponsored by Indiana Family of Farmers. We got together and prepared freezer meals. Each of us prepared our recipe 8 times, for everyone to take one home. In return, we went home with 8 different freezer meals! 64 freezer meals in 2 1/2 hours!! A lot of fun and worth it! If you are interested in doing your own freezer meal party check out the great tips Cherie over at The Queen of Free!! Everyone loves a good pasta dish and baked ziti is tasty and pretty filling meal! Here I actually used penne pasta. Cook the ground beef and diced onion seasoned with minced garlic, pepper, parsley, and oregano until browned. Drain off any grease. Cook pasta noodles until al dente. Drain pasta. 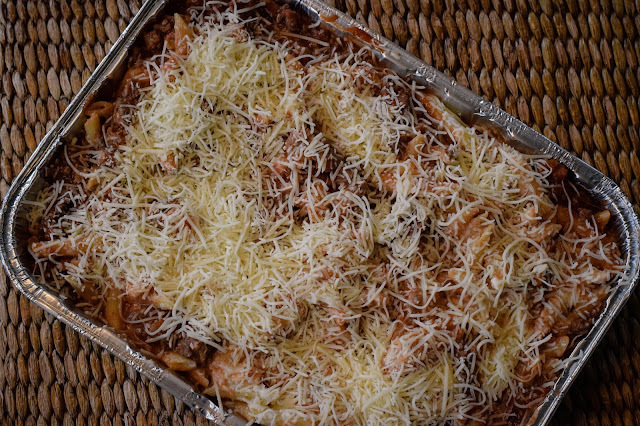 In an 9x13 baking dish, add the pasta, ricotta cheese, mozzarella cheese, and pepper to taste. Mix all together. 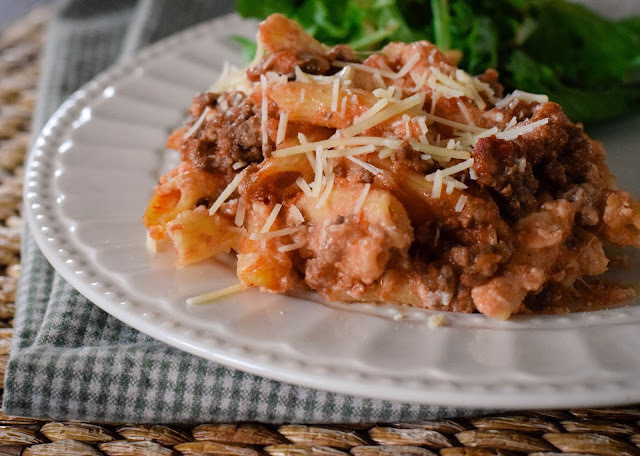 In a separate bowl add the browned seasoned ground beef and the jar of pasta sauce and mix together. Then add on top of the pasta/cheese mixture in the baking dish. 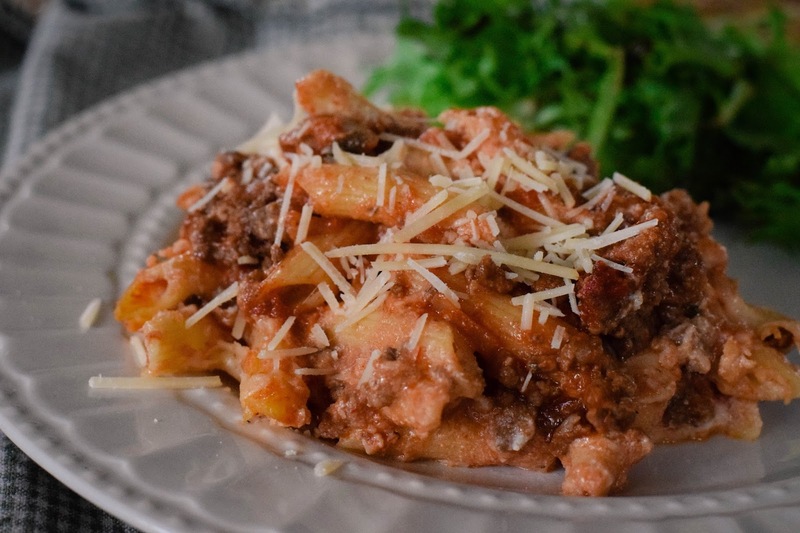 Mix together the pasta and meat sauce in the dish until the pasta is coated well with the sauce. Sprinkle a layer of shredded mozzarella cheese and shredded Parmesan cheese on top. Bake at 350 degrees for 30 minutes. Serve. After cooking pasta and draining, rinse pasta to cool it off. Add cold pasta to a 9x13 disposable pan. Continue with the rest of the preparation. 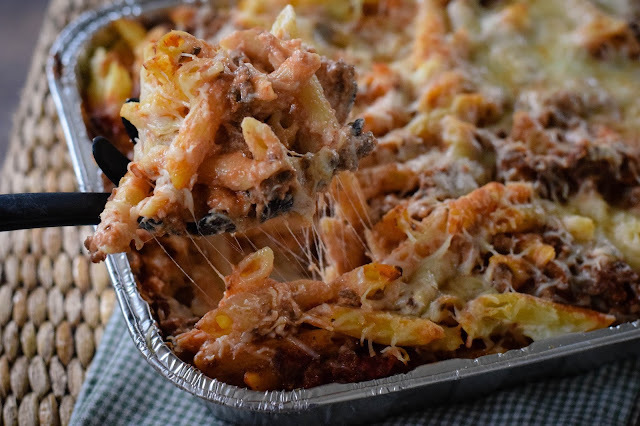 Cover the prepared baked ziti with one layer of saran wrap and then a layer of aluminum foil. This will help prevent any freezer burn. Good in the freezer for about 2 months. 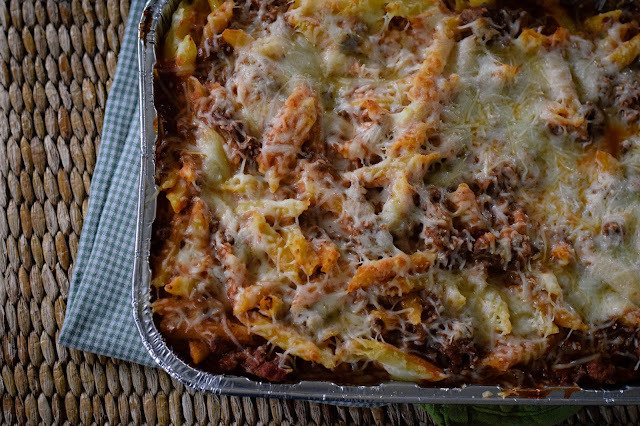 For baking, thaw baked ziti and bake at 350 for 30-40 minutes. So make this dish and enjoy now or later, either way will be a delicious meal, a for sure comfort meal favorite. In a mixing bowl combine butter and sugar together and beat to a cream. Add the well beaten egg yokes to the bowl. Then the flour, salt, ad baking powder and mix together well. Add the flavoring you like and beat thoroughly. Lightly beat the egg whites and then add by folding them in the batter. 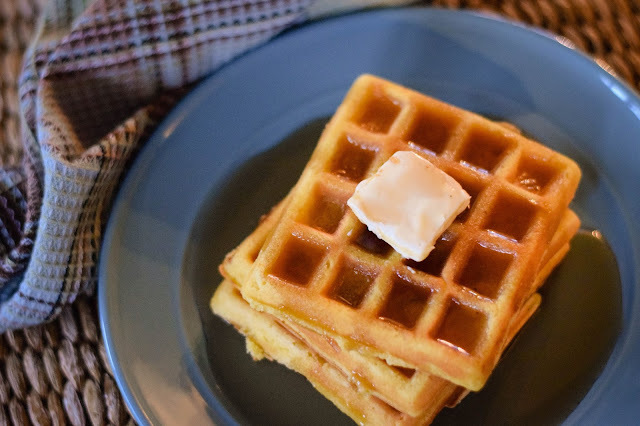 Cook the waffles in a waffle maker and serve. 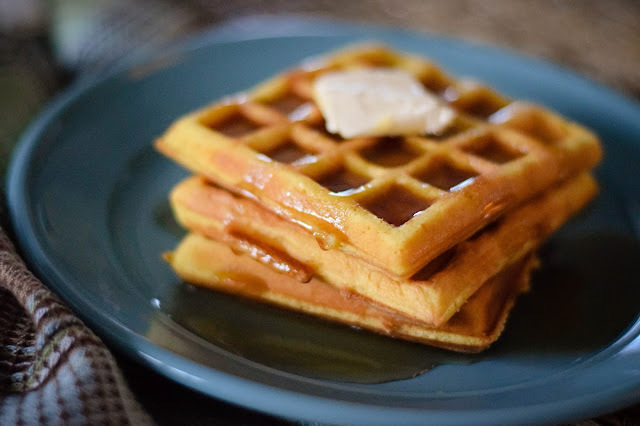 One batch makes 12 waffles.